Obviously, this movie was bad and if you came to this review looking for my opinion to be different from the thousands of other reviews who “poo emojied” on this film, you’re going to be disappointed. 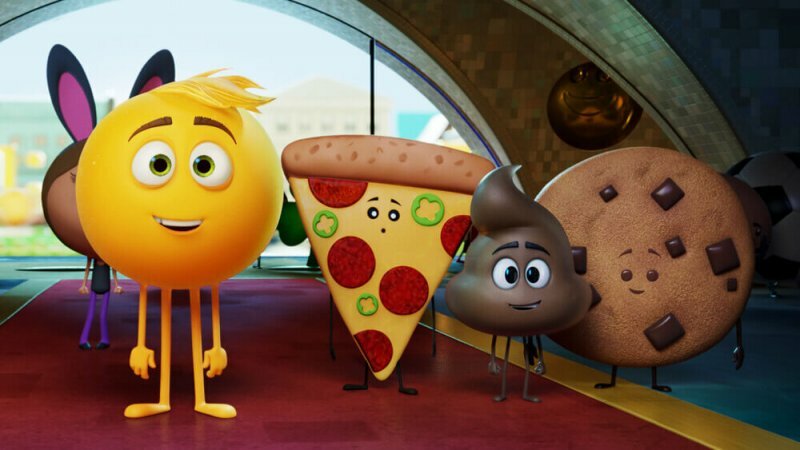 I watched “The Emoji Movie” to see if it was truly as bad as people were saying and to be honest, it was bad, but not the worst thing I’ve ever seen. It had some enjoyable parts and a decent cast that carried it, but the whole story just felt like a rip-off of “Inside Out” done very poorly. Nothing new or fresh can be said about its overall quality. Therefore, this review is going to be looking at why this movie is bad for film as a whole. First off, “The Emoji Movie” cost $50 million to make. Again, $50 million was spent to make this movie. To put that in perspective, “Baby Driver,” a film released by Sony just like “The Emoji Movie,” was only given $34 million. The saddest thing is that they made over $200 million off of it. With numbers like that, it just proves more and more that good movies do not equal box-office success. Having movies that cater to the lowest common denominator seems like the way to go, and with more and more studios seeing that formula, less original films are going to be made. Next, let’s talk about the product placement in the film, which basically was the thing carrying the story from scene to scene. There is now a movie that stars a little, yellow ball, traveling with a big, sweaty hand that must complete a dance off to get past “Just Dance 3,” that will put them on the other side of “Spotify,” which will allow them to ride audio waves to “Dropbox,” so they can get to the cloud. That takes up a majority of the film. Sorry for the huge spoiler. The ad placement gets worse. The first app they stumble upon is an app called “WeChat.” If you’re like me, you had no idea what that was. After some research online, I learned it’s a messaging app that’s huge in China. Is this movie really pandering to its foreign audience? In a drawn out joke that only a handful of countries are going to understand, it seems like that’s that case. Horrible product placement and a huge budget, which took away from other films, is enough to hate this movie. Over and over, “The Emoji Movie” proved itself to not be something creative with a loving message like “Inside Out.” It wanted to make money and it didn’t care how big of a joke it was bound to become. “The Emoji Movie” hurts movies more than any other film in recent memory.